Here’s a chance to own the former home of one of the nation’s favorite First Ladies, Eleanor Roosevelt. She lived at 211 East 62nd Street in Lenox Hill from 1953 to 1958, following her husband’s death. In the opulent spaces, she entertained the likes of Indira Gandhi, Adlai Stevenson, and John Kennedy, pursued her social justice and political causes, and penned her popular column for “My Day.” Investor Charles Ueng purchased it for $9 million in 2011 and spent $2 million on renovations before putting it on the market for $18 million in 2015. It’s been on and off the market since then and was just relisted with a lower asking price of $13,500,000. The five-story townhouse was built in 1873 by M.C. 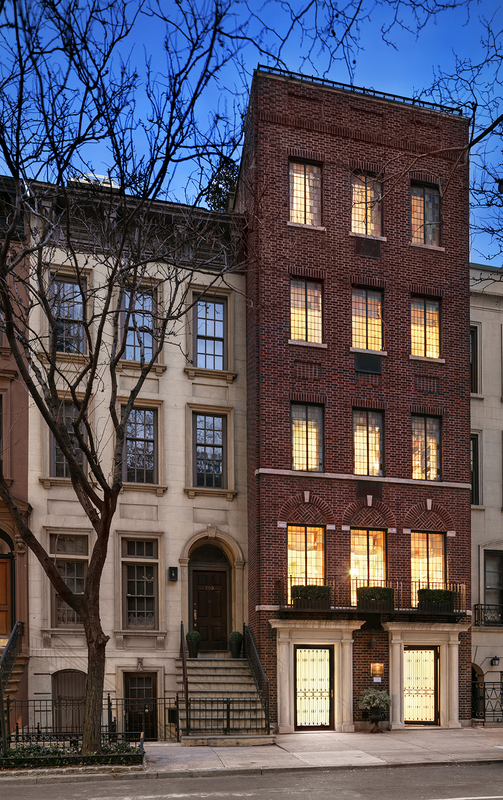 Merritt for Thomas Kilpatrick as a brownstone row house and was later renovated with a red brick facade and the addition of two entrances—residential and service—flanked by classical stone columns. It was designated as part of the Treadwell Farm Historic District in 1967. 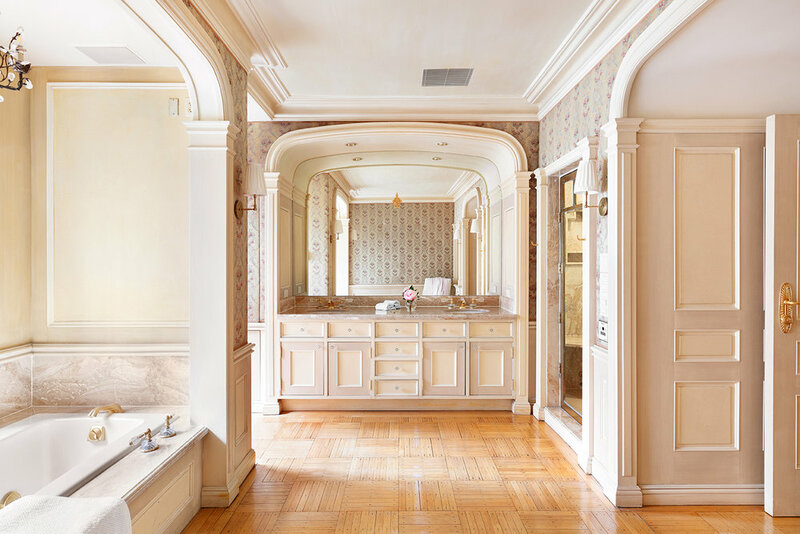 The home was recently restored by interior designer Maria Masi. 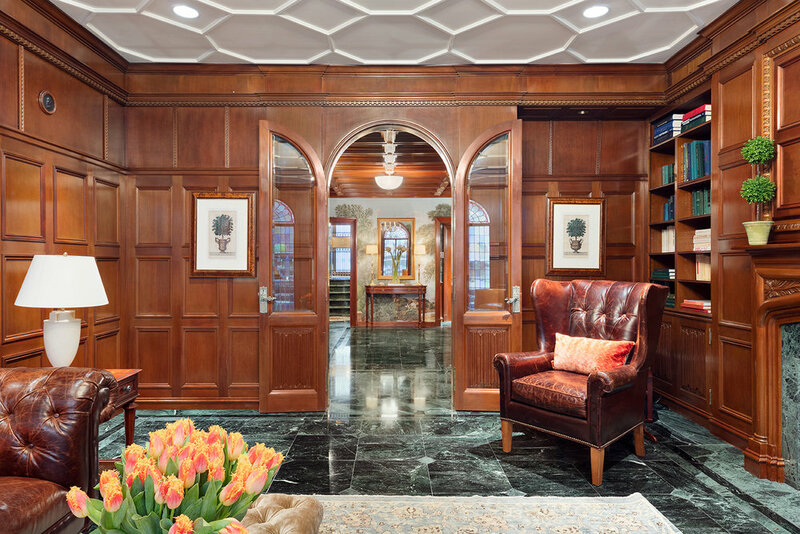 Spanning 5,225 square feet of interior space, the home is divided into distinct private, guest, and staff areas full of details like decorative medallions and moldings, wood-paneled walls, and arched doorways. There are four bedrooms, each with an en-suite bathroom, and six wood-burning fireplaces with antique mantels. In addition to multiple staircases, a six-stop elevator connects all the levels of the home and provides convenience. 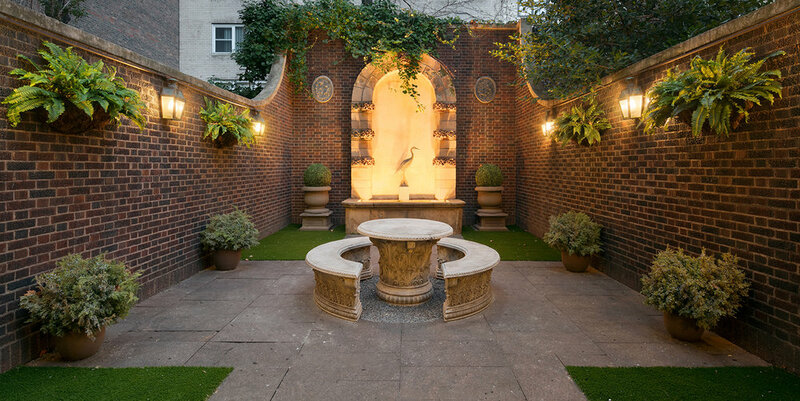 The first two levels are dedicated to entertainment space, beginning with a reception gallery featuring Iksel wallpaper, a restored Victorian ceiling, marble floors, a central fireplace, custom millwork and stained glass arched French doors opening onto a lush garden with a stone fountain. 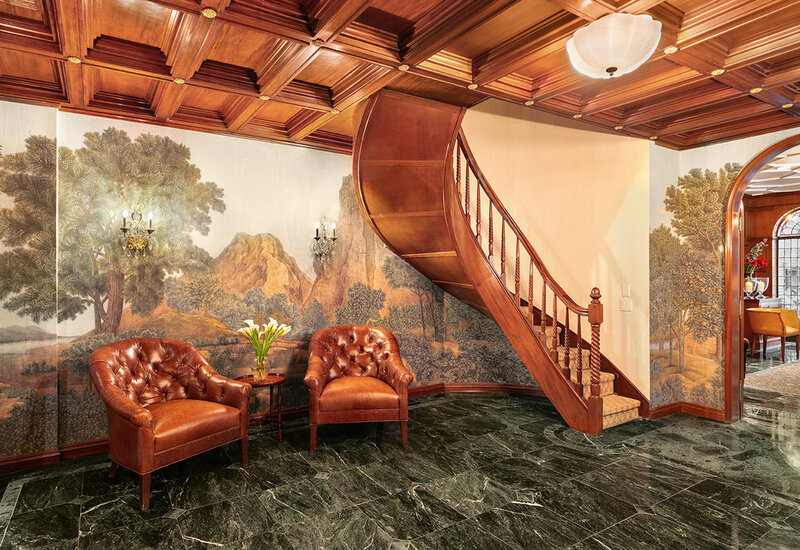 A spiral mahogany staircase connects the first floor to the parlor level, where you’ll find a formal dining room, a study, and a top-of-the-line eat-in kitchen. A second living room features an outdoor terrace with a wrought iron balcony overlooking the rear garden. There are two full-floor master suites on the third and fourth floors, both of which boast luxurious bathrooms, wet bars, and fireplaces. A separate staircase provides access to the fourth and fifth floors, and the additional privacy makes them great options for guests. Here you’ll find two additional bedrooms with Parquet de Versailles floors and more custom mahogany millwork. The fourth bedroom, currently used as a reading room, has a marble fireplace and it’s own double sink bathroom. A pristine basement with separate bath and laundry area could be used as a gym, media room, or playroom. In addition to the garden, there’s also a rooftop deck—which comes with a dog run!—bringing the total amount of outdoor space to a generous 1,770 square feet.